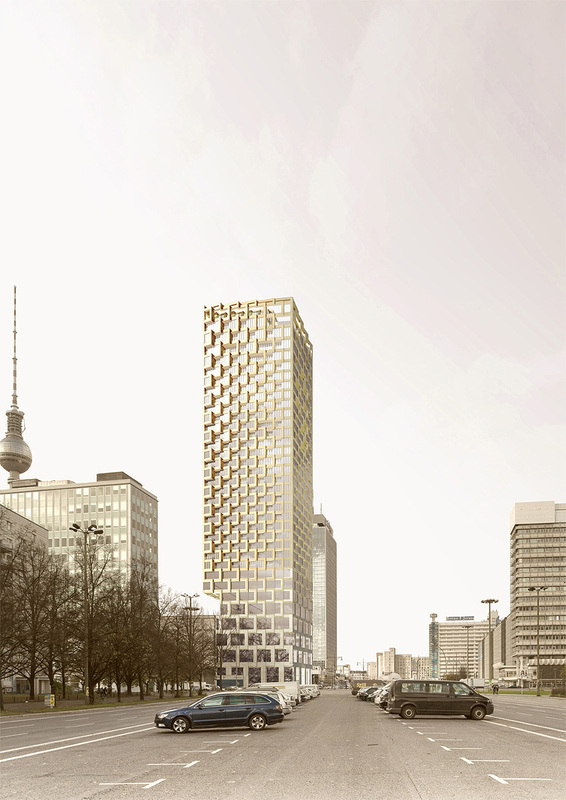 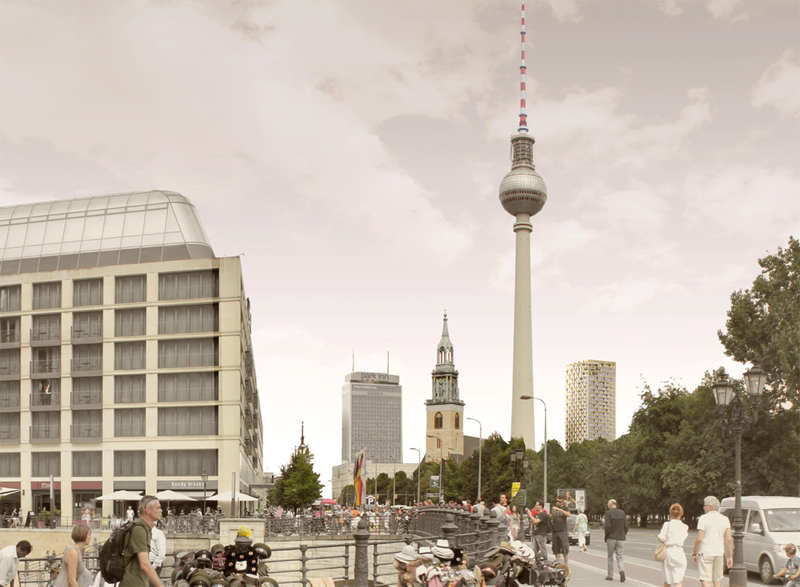 Within the scope of a competition for a high-rise at Alexanderplatz tendered by the project developer Hines, the aim was to design a 150-metre high residential tower to be not just a new landmark, but also an entirely new type of building in Berlin. 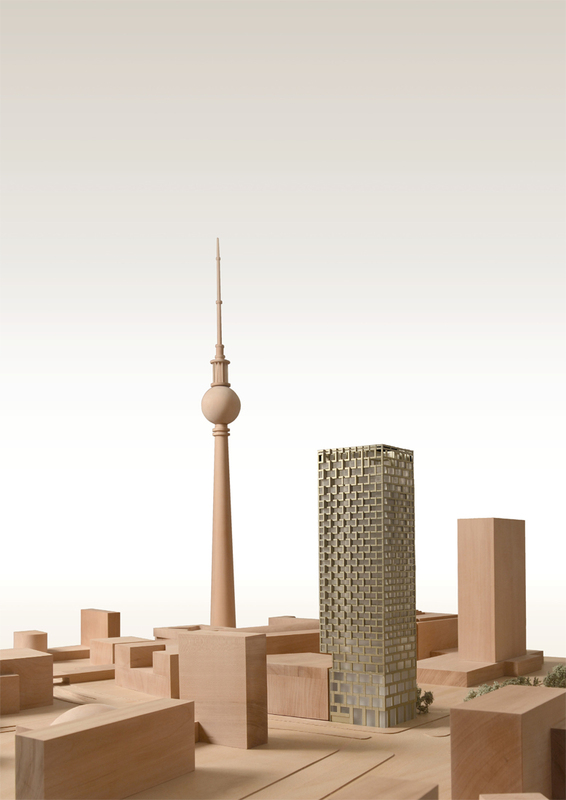 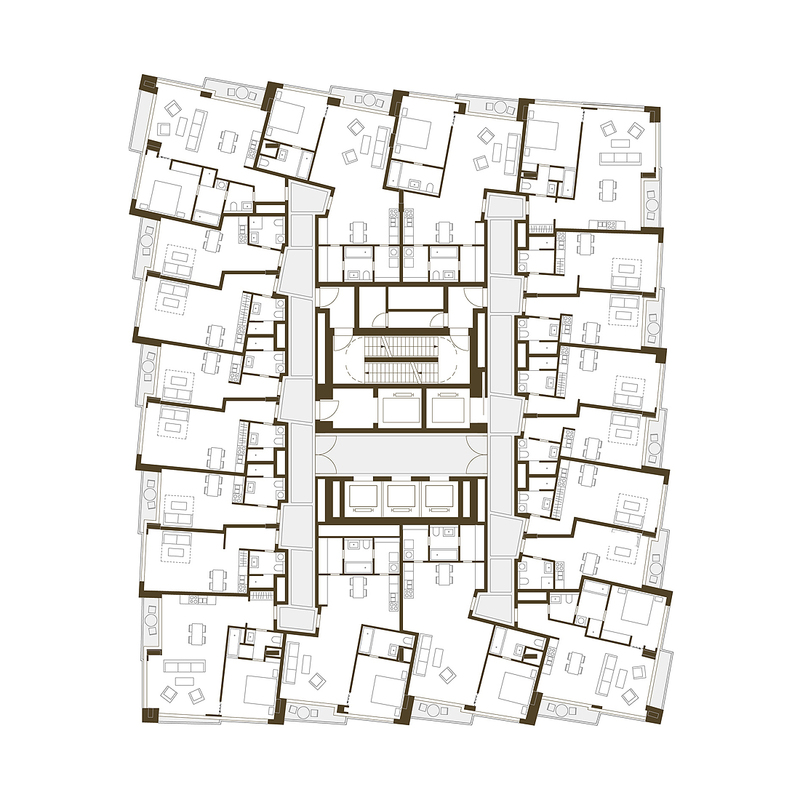 The high-rise design of Kleihues + Kleihues takes into consideration the diverse architecture of the surrounding buildings and combines them to create a new building type: the Berlin residential high-rise. 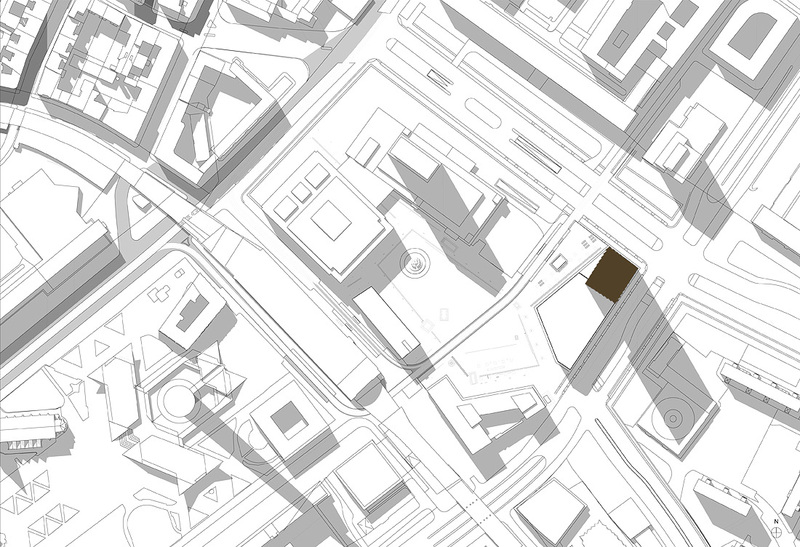 From a distance, the building achieves this effect with its clear form. 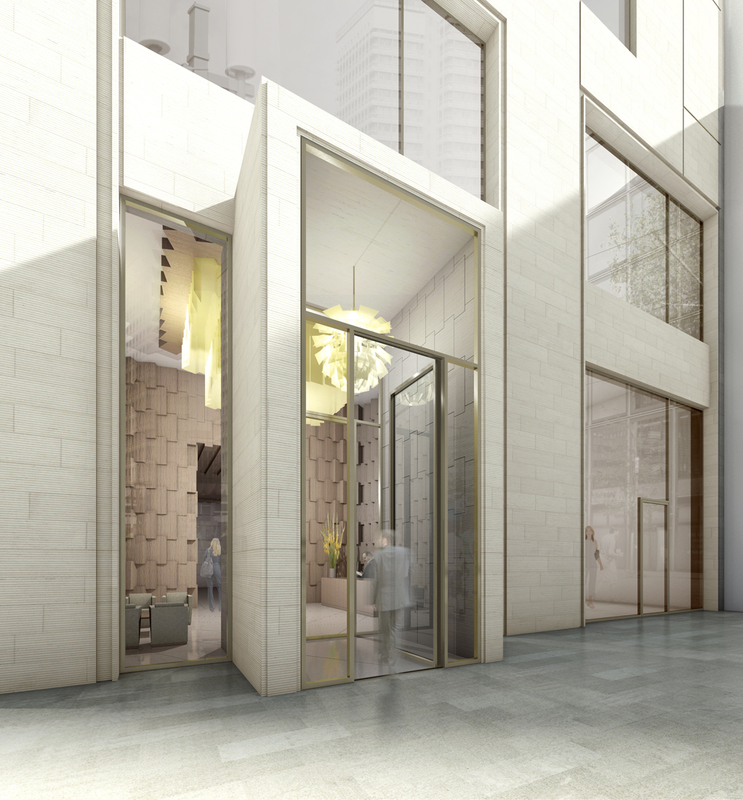 On closer examination, it impresses with its materiality and the design of the façade. 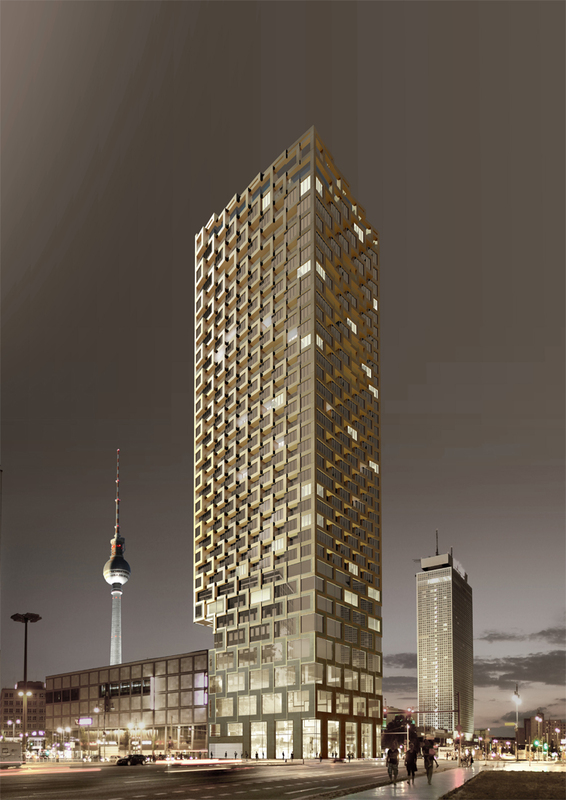 Rising from a smooth base, the building develops upwards into a complex, multi-faceted and three-dimensional structure. 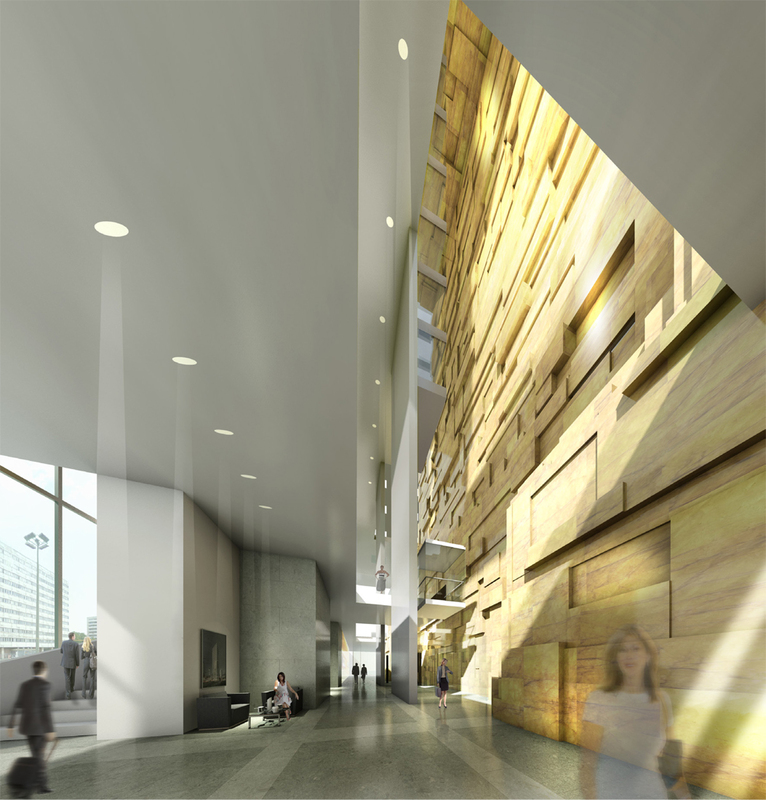 The façade gains in plasticity from floor to floor. 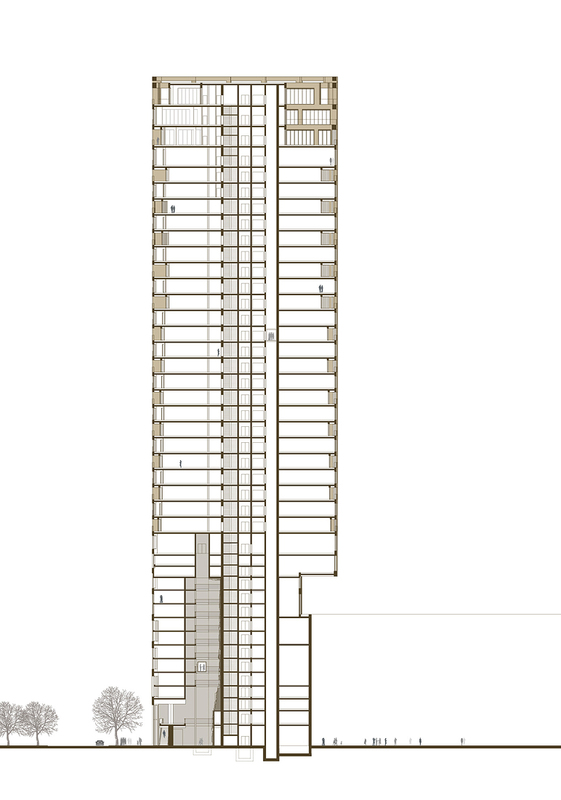 The 150-metre high building has a total of 39 storeys. 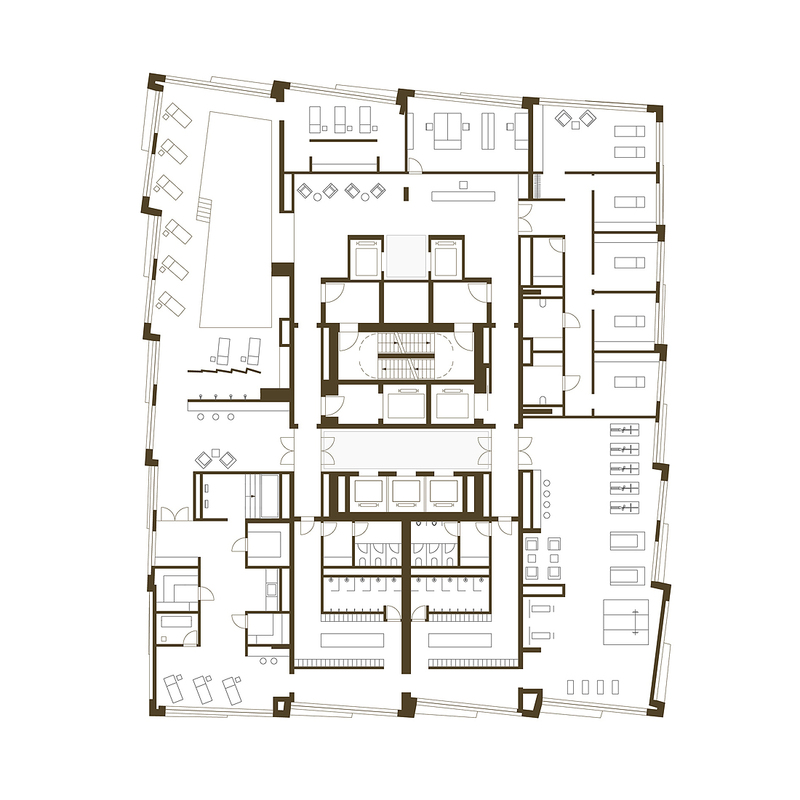 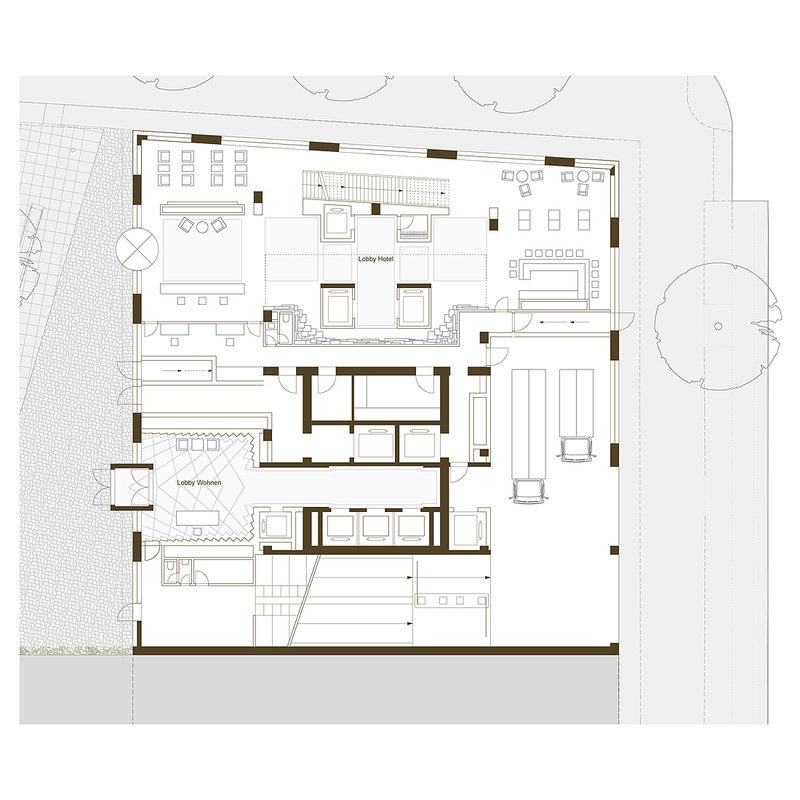 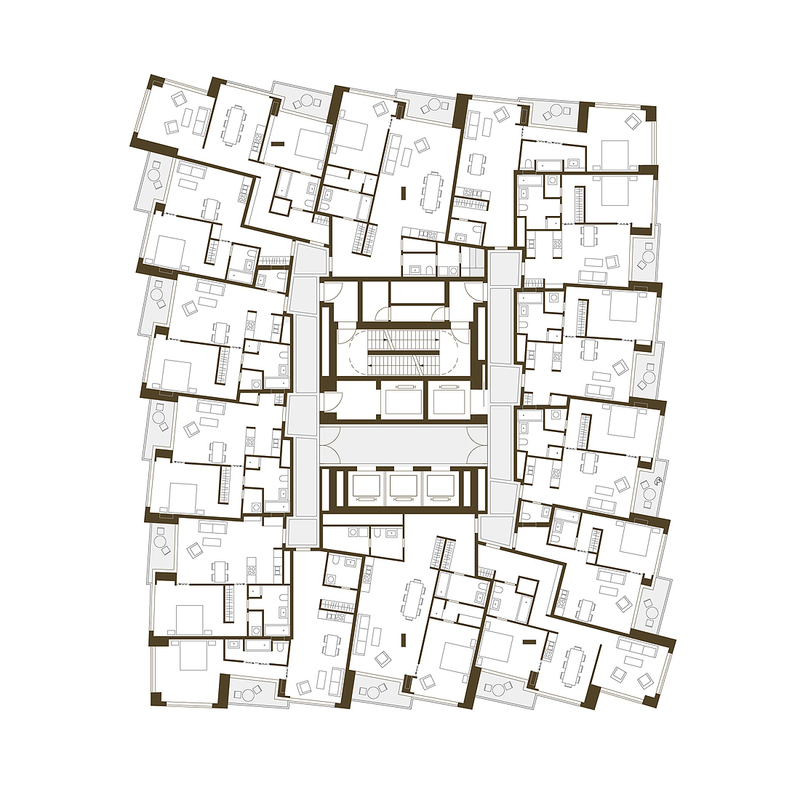 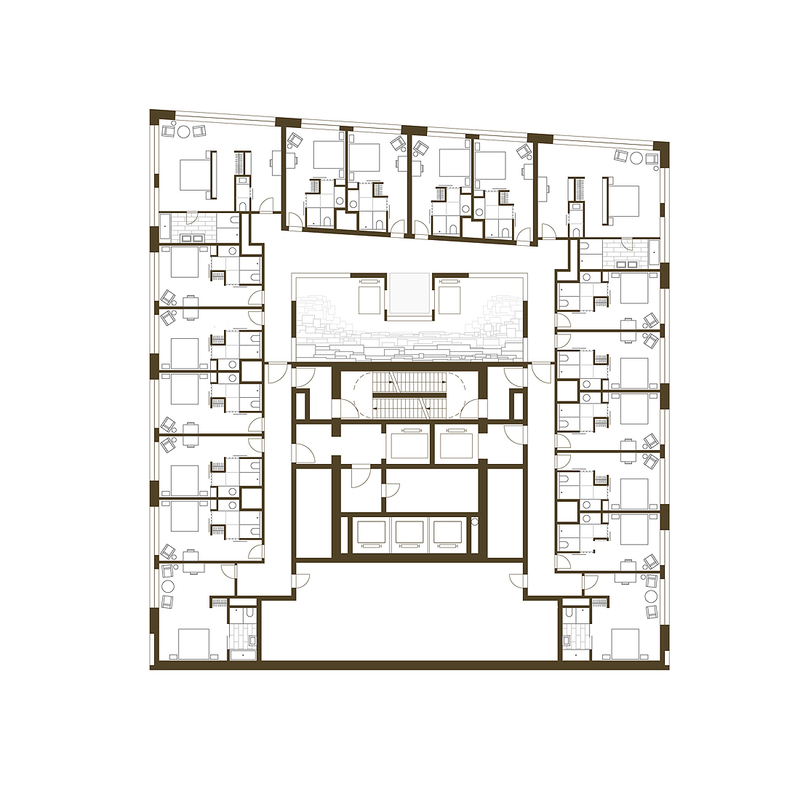 The twelve lower floors have been set aside for a hotel and technical facilities. 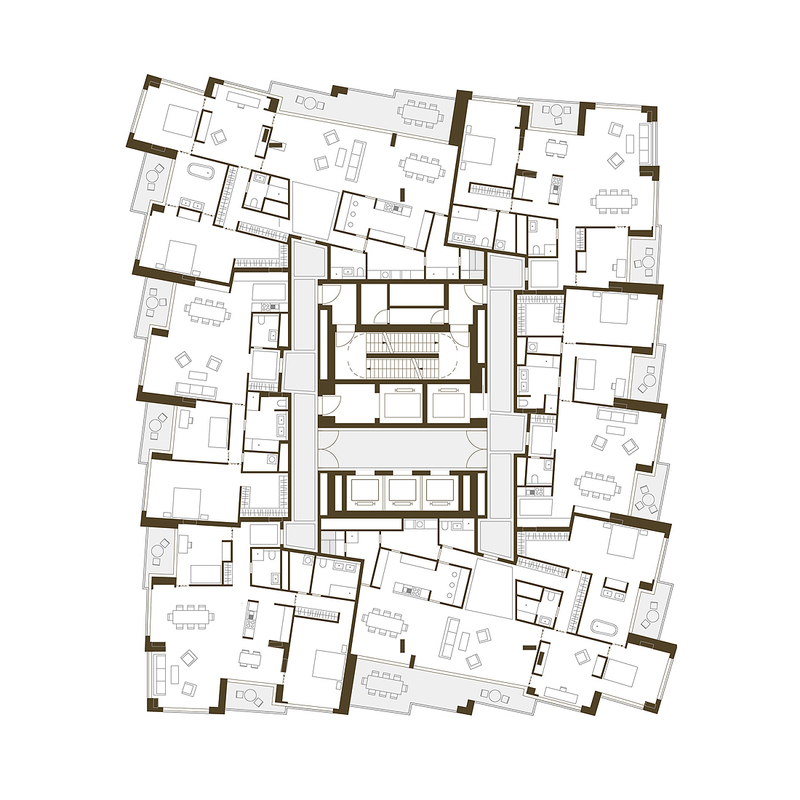 Up to 300 flats, with various layouts and sizes from 35 square metres and larger, will be located from the 13th to 39th storey. 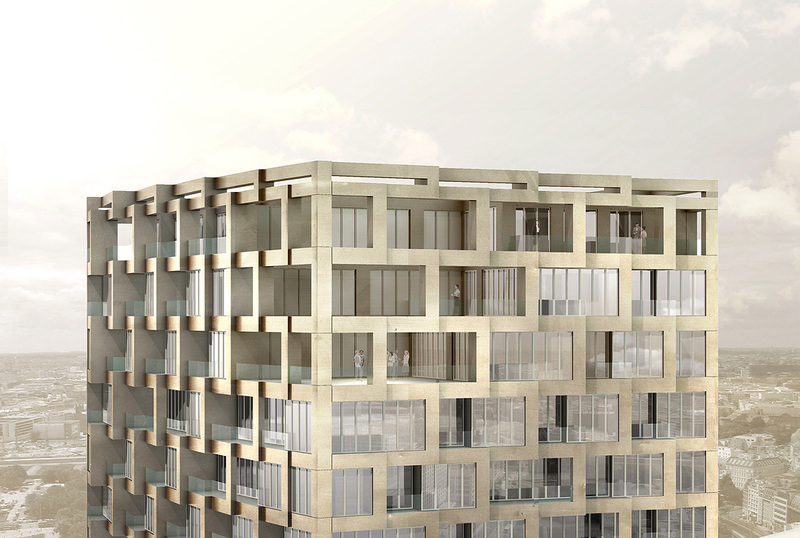 Each flat will have its own balcony, which alternate from storey to storey, allowing views in two directions.